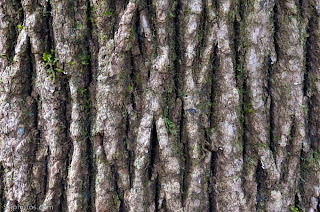 The bark of a beautiful Flowering Dogwood tree near Wakulla springs in Tallahassee, Florida. 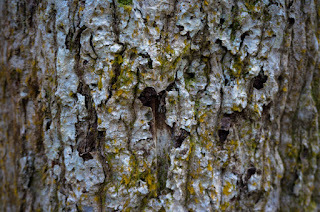 Bark is absolutely wonderful stuff. 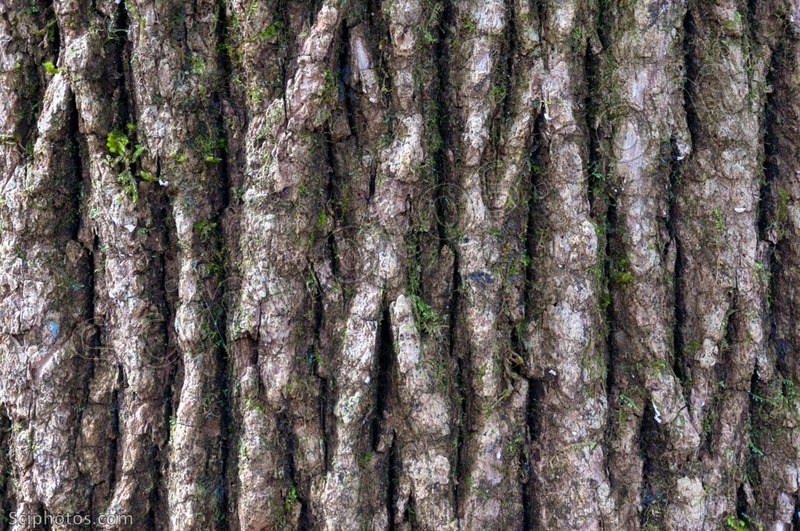 Across species of trees there is an amazing diversity in the appearance and makeup of their bark. 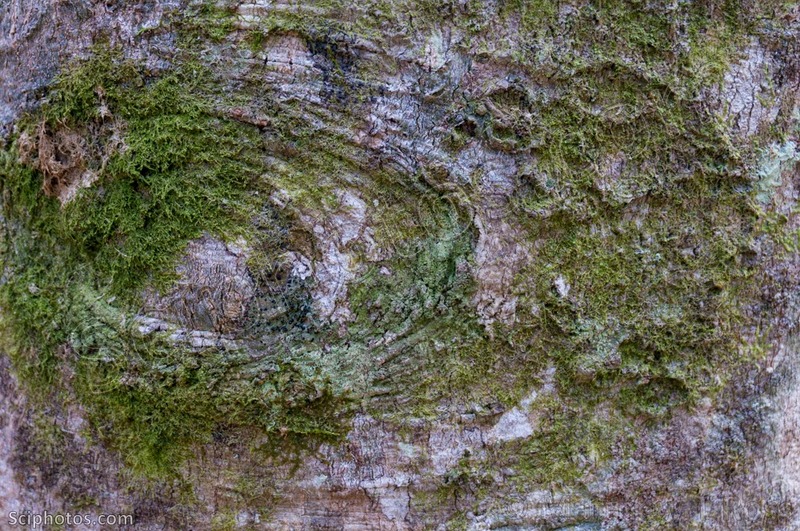 This explains why we use the barks of different trees for vastly different functions. This can include as a spice in the case of cinnamon, or as a bottle stopper as in the case of cork (harvested from the “cork oak”). 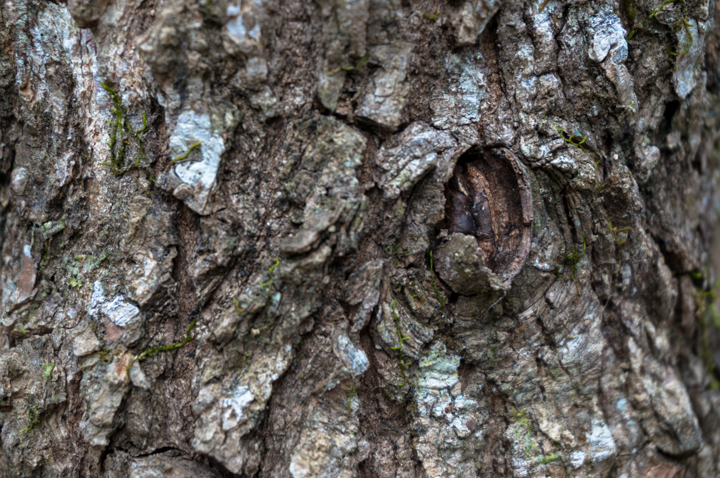 The cells in the Phellem layer produce a waxy substance that helps prevent water lose in the plants. 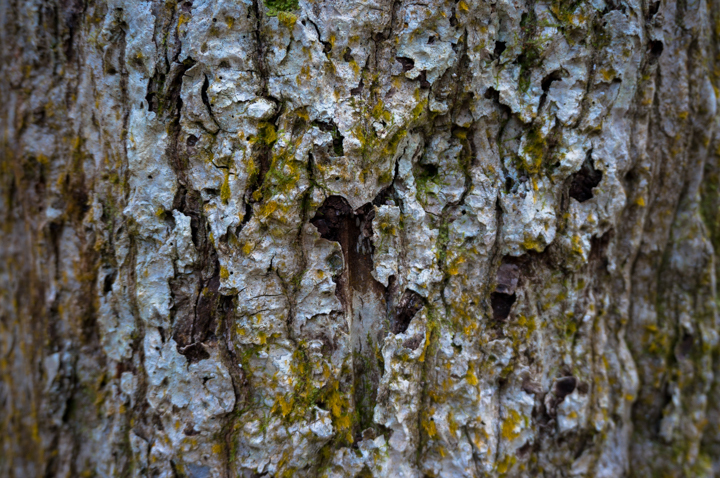 The phellogen is the only layer of the bark in which cells are dividing producing the cells that make up those in the phellem layer. 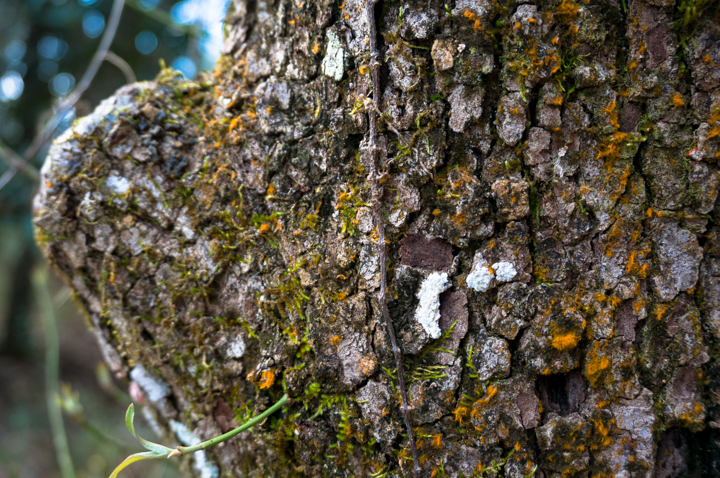 The cells in the phloem layer are used for carrying nutrients around the length of the tree. 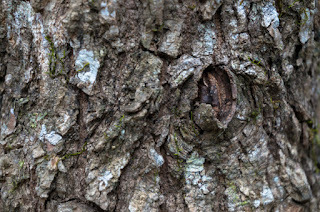 The appearance of bark comes from the fact that as a plant ages the phellogen layer is producing and pushing more and more cells into the phellem layer. 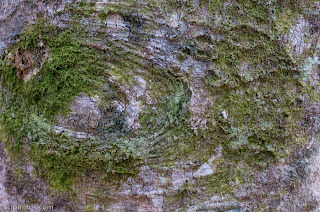 As the cells in the phellem layer pile up they get cut off from nutrients and die off. 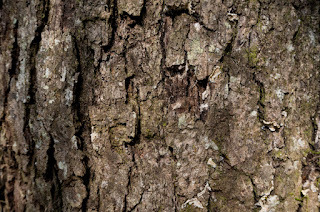 Differences in the buildup of this dead tissue results in the variety of appearances of bark across species. 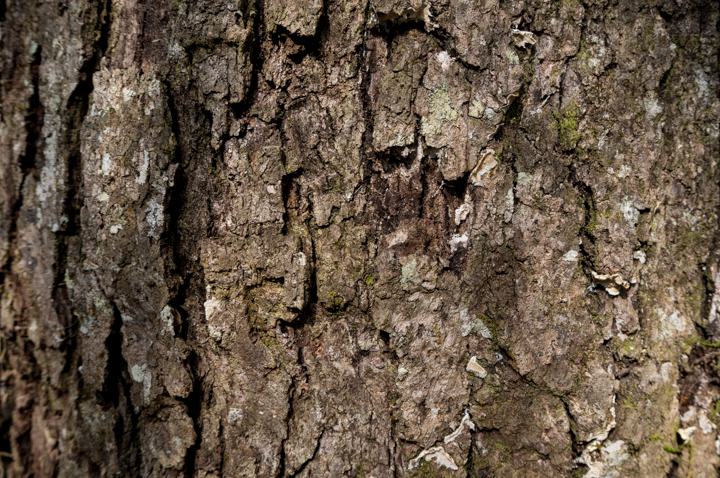 From top to bottom is the white ash, the bluff oak, the pignut hickory, the sweetgum, and the American beech.